Home » Climate, land & water » Soils » Measuring and assessing soils » What is soil organic carbon? Soil organic carbon is a measureable component of soil organic matter. Organic matter makes up just 2–10% of most soil's mass and has an important role in the physical, chemical and biological function of agricultural soils. Organic matter contributes to nutrient retention and turnover, soil structure, moisture retention and availability, degradation of pollutants, carbon sequestration and soil resilience. How is soil organic carbon different to soil organic matter? Soil organic carbon (SOC) refers only to the carbon component of organic compounds. Soil organic matter (SOM) is difficult to measure directly, so laboratories tend to measure and report SOC. Sequestering carbon in SOC is seen as one way to mitigate climate change by reducing atmospheric carbon dioxide. The argument is that small increases of SOC over very large areas will significantly reduce net carbon dioxide emissions from agriculture. For the reduction to be long-lasting, organic matter would have to be in the more stable or resistant fractions (Table 1). For more information see Soil organic carbon and carbon sequestration. SOM is composed mainly of carbon, hydrogen and oxygen, and has small amounts of other elements, such as nitrogen, phosphorous, sulfur, potassium, calcium and magnesium contained in organic residues. It is divided into ‘living’ and ‘dead’ components and can range from very recent inputs, such as stubble, to largely decayed materials that are thousands of years old. 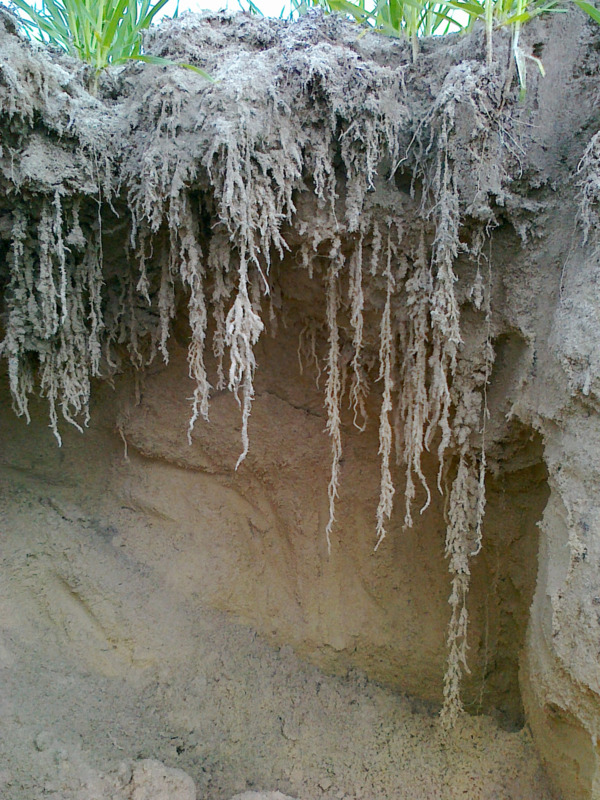 About 10% of below-ground SOM, such as roots, fauna and microorganisms, is ‘living’ (Figure 1). Dissolved organic matter <45µm (in solution) Minutes to days Soluble root exudates, simple sugars and decomposition by-products. It generally makes up less than 5% of total soil organic matter. Particulate organic matter 53µm–2mm 2–50 years Fresh or decomposing plant and animal matter with identifiable cell structure. Makes up 2–25% of total soil organic matter. Humus <53µm Decadal (10s to 100s of years) Older, decayed organic compounds that have resisted decomposition. Can make up more than 50% of total soil organic matter. Resistant organic matter <53µm–2mm 100s to 1000s of years Relatively inert material, such as chemically resistant materials or organic remnants (e.g. charcoal). Can be up to 10% of soil organic matter. How much soil organic carbon is in WA soils? Most WA soils are low in SOC (Viscarra Rossel et al. 2014). Low rainfall, warm conditions for much of the year, and sandy soils limit the build-up of stable SOC. Typically, the organic carbon content of WA dryland agricultural soils is between 0.7% and 4% (Figure 2), although SOC can be as low as 0.3% for desert soils and as high as 14% for intensive dairy soils. Most organic matter is located near the soil surface. In south-west WA, about 60% of organic matter in the top 30cm of soil is located in the top 10cm. About 58% of the mass of organic matter exists as carbon. We can estimate the percentage of SOM from the SOC% using the conversion factor 1.72 (derived from 100/58). This conversion factor can vary in different soils, but 1.72 provides a reasonable estimate of SOM for most purposes. (0.013) x (1.2 x 0.1 x 10 000) = 15.6tC/ha. Using the conversion factor of 1.72, the amount of SOM would be: 15.6 x 1.72 = 26.8 tonnes of organic matter. Soil type, climate and management influence organic matter inputs to soil and its turnover or decomposition. Rainfall is a major driver of plant growth (biomass) and biological activity which results in the decomposition of organic matter that enters soil. The different fractions of SOM (dissolved, particulate, humus and resistant) turn over at vastly different rates (Figure 3). Furthermore, SOM cycles continuously between living, decomposing and stable fractions in the soil (Figure 4). Inputs: plants and animals become part of the SOM as they die or create by-products. Transformation: soil organisms break-up and consume organic matter, creating different forms of organic residues. For example, fresh plant residues are broken into smaller pieces (<2mm) and become part of the particulate organic matter fraction. This material decomposes further and a smaller amount of more biologically stable material enters the humus pool. Nutrient release: nutrients and other compounds not required by microorganisms are released and are then available to plants. Stabilising organic matter: as the organic residues decompose, they become more resistant to further change. How much of the soil organic carbon that enters soil stays there? 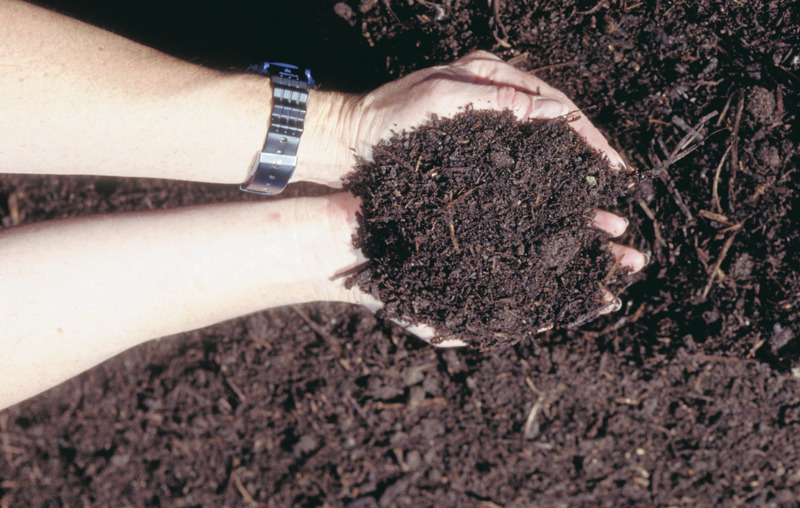 Microorganisms digest up to 90% of the organic carbon that enters a soil in organic residues. In doing so, they respire the carbon back into the atmosphere as carbon dioxide. While up to 30% of organic inputs can eventually be converted to humus, depending on soil type and climate, in Australian agricultural soils this value is often significantly less. There are 3 main factors influencing the ability of a given soil type to retain SOC (Figure 5). Soils naturally higher in clay content generally retain more organic matter – and hence can retain more organic carbon – than sandy soils. SOM is primarily a result of inputs minus losses, and may be influenced by soil type, climate and management (Table 2). SOM increases when inputs are greater than losses, and vice versa. Inputs largely depend on plant biomass production, though may also be the result of amendments added to soils or by-products from animal production. Losses occur when organic matter decomposes and, in some cases, with soil erosion. Naturally occurring clay in soil binds to organic matter, which helps to protect it from being broken down or limits access to it by microbes and other organisms. Organic matter in coarse-textured sandy soils is not protected from microbial attack and is rapidly decomposed. In comparable farming systems with similar soil type and management, soil organic matter increases with rainfall. This is because increasing rainfall supports greater plant growth, which results in more organic matter accumulating in the soil. Organic matter decomposes more slowly as temperatures decrease. In Western Australia under moist conditions, each 10°C increase in temperature doubles the rate of organic matter decomposition (Hoyle et al. 2006). This means moist, warm conditions will often result in the most rapid decomposition of organic inputs. Maximising crop and pasture biomass via better water-use efficiency and agronomic management will increase organic matter inputs. As a large proportion of organic matter is present in the top 0–10cm of soils, protecting the soil surface from erosion is essential for retaining soil organic matter. Tillage of structured soils decreases soil organic matter stocks by exposing previously protected organic matter to microbial decomposition. Adding off-farm organic residues, such as manures, straw and char, can increase soil organic matter. The agronomic benefits should be measured to establish economic viability. Landscape can influence biomass production (inputs) associated with water availability. Transfer of soil and organic matter down slope via erosion can increase soil organic matter stocks in lower parts of the landscape. Soil constraints decrease plant growth and decomposition rates. This could slow the amount and transformation rate of organic matter moving into more stable fractions. Microorganisms and particularly bacteria, grow poorly in strongly acidic or alkaline soils and consequently organic matter breaks down slowly in these soils. How do I measure or interpret soil organic carbon results? Changes in stable SOC generally occur very slowly (over decades), and it is often hard to measure small changes against a relatively large background of soil carbon. Changes in SOC are largely determined by how much biomass is grown and retained above and below ground. About 45% of organic matter is carbon and lighter textured soils retain less than 30% of this. For example, WA soils have measured between 20 and 160tC/ha. 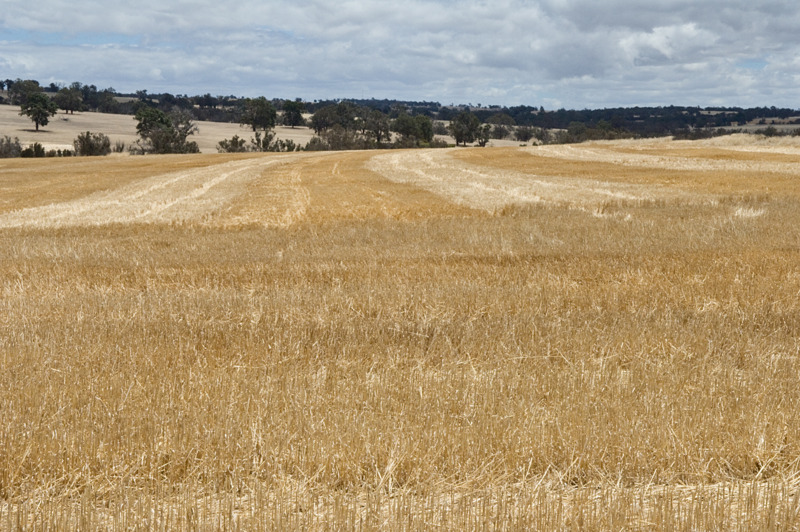 A typical Australian grain production system, yielding 2t/ha of wheat is likely to retain 0.1–0.5t of organic matter per hectare in the soil each year. This equates to a change in SOC in many instances of less than 1% of the total stock. A larger change in total organic carbon stock, which may take several years or longer to occur, is required before a significant change could be measured with any degree of confidence. Given annual inputs of organic residues are likely to be less than 0.2tC/ha in a typical grain cropping system, the time required to detect a significant change in SOC is generally more than 10 years. By monitoring SOC over time, changes caused by management can be estimated (Figure 6). However, fresh residues (Figure 1) can vary widely, depending on the crops or pastures grown each year. an estimate of bulk density of the soil to adjust for changes in soil mass at specified depth intervals. Changes in SOC are most likely to be observed in the top 0–10cm of the soil. Soil tests for organic carbon normally report a percentage total SOC. Using a measure of bulk density, the amount of carbon per hectare to a given depth of soil can be calculated as shown earlier. Figure 6 Changes in SOC can be monitored over time with an accurate soil sampling program. Changes in total SOC and the distribution of organic carbon at different depths can help you understand how management practices are influencing SOC over time. Hoyle, FC 2013, Managing soil organic matter: A practical guide, Grains Research and Development Corporation, Kingston, viewed 15 October 2018, https://grdc.com.au/resources-and-publications/all-publications/publications/2013/07/grdc-guide-managingsoilorganicmatter. Hoyle, FC, Murphy, DV & Fillery, IRP 2006, 'Temperature and stubble management influence microbial CO2-C evolution and gross N transformation rates', Soil Biology and Biochemistry, vol. 38, pp. 71–80.